With apologies, this week’s interview requires us to go to hell. Hey, back off. It’s not our fault. 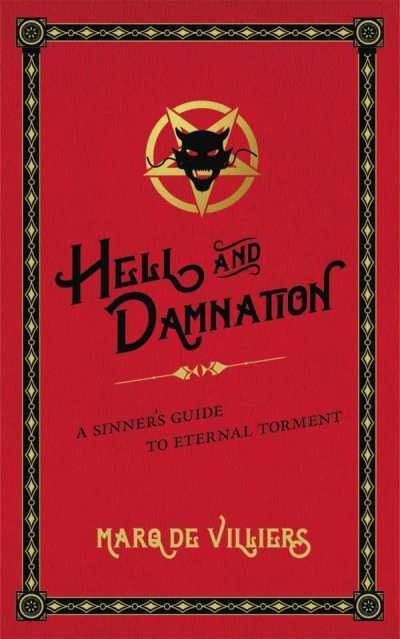 The blame falls squarely on the shoulders of reviewer Katie Asher for falling in love with one of the quirkiest books we’ve seen this year: Marq de Villiers’ Hell and Damnation: A Sinner’s Guide to Eternal Torment. Katie seemed to have so much fun with the review, we reached out to the University of Regina Press to help set up this interview between her and Marq. We also asked our contact at Regina where Hell and Damnation belongs on the shelves of a bookstore—in the Travel section or the Religion section. We’ll let you know what they say. Take it from here, Katie. I’m sure this is a question you get a lot, but why hell? Where did this fascination begin, and why did you choose to write a book about it? I once read, in a biography of Galileo, that he had calculated how far “down” hell must be. Working backwards from the presumed size of Satan, and from Dante’s notion that Satan’s navel marked the exact center of the earth, he reported to an audience of clerics that hell must be somewhere around 650 kilometers beneath the surface of the earth. As I said in my book, this was surely not one of the famous astronomer’s signature achievements! It did make me realize, though, how deeply hell had penetrated even sophisticated human imaginations. But what made me think there was a book in the subject was a parody travel guide to hell published in The Economist, of all sober places. Did you realize, going into the research for this book, the enormity of covering all religions, texts, books, et cetera? 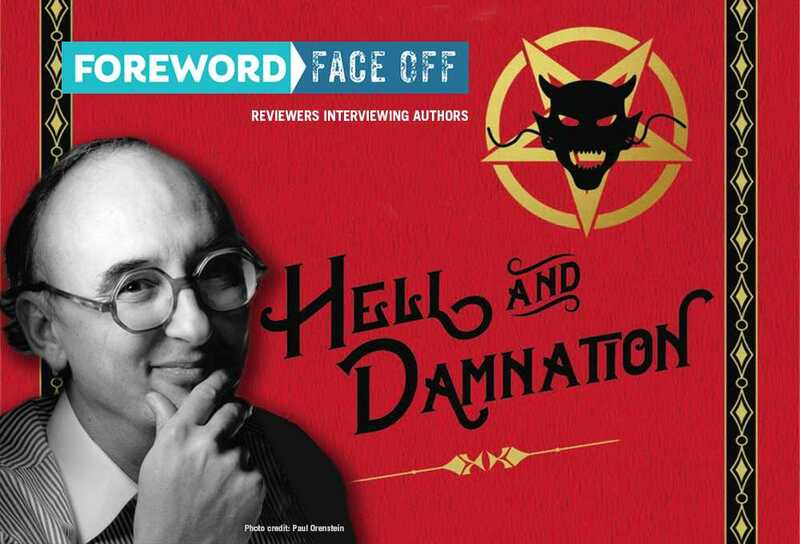 I was stunned to find out how many authors, poets, and writers had their own opinions and versions of hell. I had a pretty good idea, since I knew that even faiths (Buddhism, for instance) that had no heaven, nevertheless believed in hell (or many hells, as it turned out). Even so, I was astonished at the enormous range and variety of human visions of hell, each so very different from the others. Everyone knows, or has at least heard of Dante’s version of hell, but how did you discover the more obscure hell references? Were they from books or texts you had already known about? I did know of a few conceptions of hell. I had read, for example, the epic of Gilgamesh, which though not really about hell did contain a rather fearsome description of it. And I had read about Ishtar’s descent to the underworld to confront her sister, the Queen of the Dead. I’m also a huge fan of Elaine Pagels, so in due course I read her The Origin of Satan. Mostly though, as I acknowledge in the book, I owe a debt to Eileen Gardiner, whose website Hell-0n-Line contains an exhaustive catalogue of hundreds of different visions of hell, many of them “eyewitness reports” from medieval mystics and clerics. From her resources, I was able to find the original texts. Now that you intimately know of all the different versions of hell, which is your favorite? Mine is Vinmutra, Hindu hell, because of its absurdity and completely repulsive nature. My personal favorite is one of the hells of Chinese Buddhism, which consists entirely of endless waiting rooms with bureaucrats sitting at their desks paying no attention at all to the wretched sinners. Waiting, forever, for something that never happens … that’s my idea of hell. I also like the Hell of the Sword Leaf Trees, in which sinners tear themselves to pieces on yards-long spikes, only to be healed and obliged to do it all over again, for many thousands of cycles. Ouch! Due to the overall tone of the book, I think I know the answer to this question, but I wanted to be certain. Where do you believe you are going to go when you die? Why do you believe that? I believe, along with my book’s dedicatee Thomas Tailour of England, who was accused of heresy in 1491, that life is a process, not a thing, and that when the body dies life dies with it. So, I am not going to “go” anywhere. Is a book about heaven next? Do you have any interest in the other side of life after death? No, what I have read of heaven makes it sound a place of relative tedium, even if Revelation gives it real Pearly Gates and pavement of transparent gold. Angels singing Hosannas day and night, for eternity? Not much spice of life there. Also, while there are thousands of “reportings” from hell over the millennia, dispatches from heaven have been rather sparse.